Balmain players, Nathan Weldon-Bowen, Jeffrey Morgan and Shaun Mulraney with Les De Jong and Donna Ingram. With Sir Doug Nicholls Indigenous Round being celebrated by the AFL this weekend, AFL Sydney club, the Balmain Tigers will be honouring the first Australian’s with their own acknowledgment of Indigenous Round. 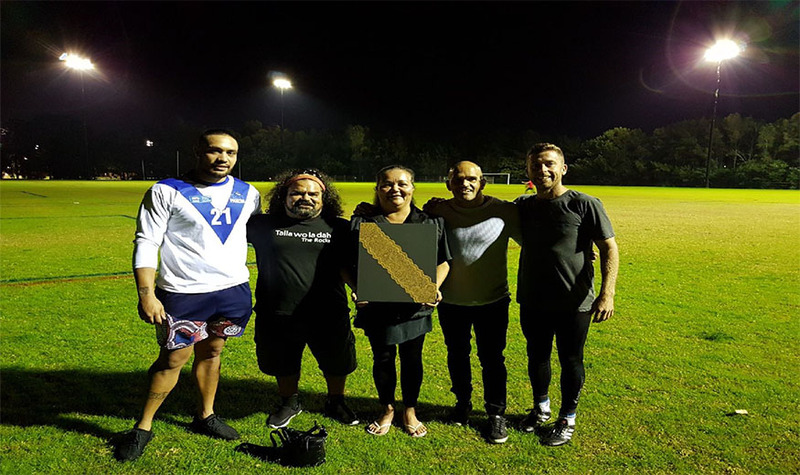 The winner of their Division One match with Camden will be the first club engraved on the ‘Pemulwuy Shield’ – an award named by Balmain in honour of the great Sydney Indigenous warrior, Pemulwuy. Balmain’s Senior Coach, Daniel Bourke says that in naming their Indigenous Round shield in the name of Pemulwuy, the club is hoping to raise awareness of who he was to Australia. “[Pemulwuy was] a proud warrior who fought for over 10 years to protect his family, friends, and land from invasion and genocide,’ explains Bourke. Not only will the two clubs play off for the inaugural Pemulway Shield, it was announced back in March that Balmain will also wear an Indigenous Guernsey in the same tradition of the AFL’s Sir Doug Nicholls Round. Designed by Inner-West Indigenous artist, Peta-Joy Williams, the image was specifically created for the Balmain club. The design crafted by the Wiradjuri artist is said to tell the story of travellers, with the circles lining the famous Tiger’s golden sash, representing the differences each person brings to life with their own histories. A traditional Welcome to Country and Smoking Ceremony will be performed between the two Balmain matches set for Mahoney Oval, which will be conducted by Les De Jong and Donna Ingram (pictured above). Rounding out the Division Three match, Balmain have also invited ‘Budawangman and the Yarma Boys’ to add further atmosphere through traditional song and dance. 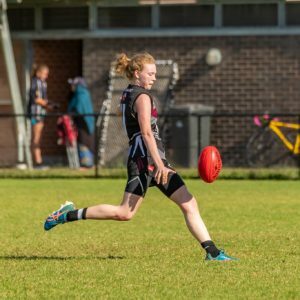 To strengthen the line-up of the day, AFL Sydney Juniors club, the Glebe Greyhounds will play at during half-time, and Balmain’s Masters team will also take the field. Former Mayor of Leichhardt and Balmain Number One Ticket Holder, Darcy Byrne will be in attendance as the Master of Ceremonies for all of the day’s events. “Obviously we are beyond excited about this and recognise that it is a great opportunity to further enhance conversation regarding issues that affect Indigenous people. 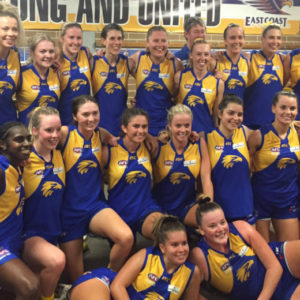 “We have a couple of Indigenous players in our club and we’re hopeful that a day such as this promotes a more inclusive and empathetic community where people of all cultures are comfortable. 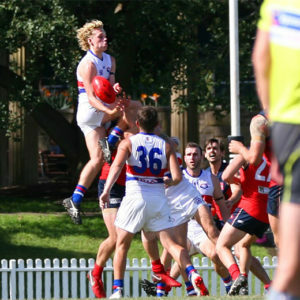 You can attend the day’s events at Mahoney Oval in Marrickville with the Division Three match starting at 11.50am and the Division One match at 2.20pm. AFL Sydney encourages all clubs to celebrate Sir Doug Nicholls Indigenous Round in 2017 and in years to come. 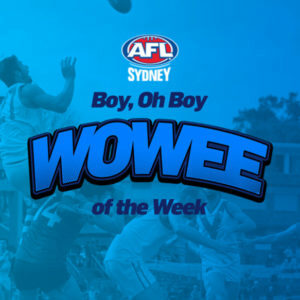 They Sydney Swans will host Hawthorn on Friday at ‘Marn Grook at the SCG’ from 7:50pm. For more information and tickets, visit the Ticketek website here.